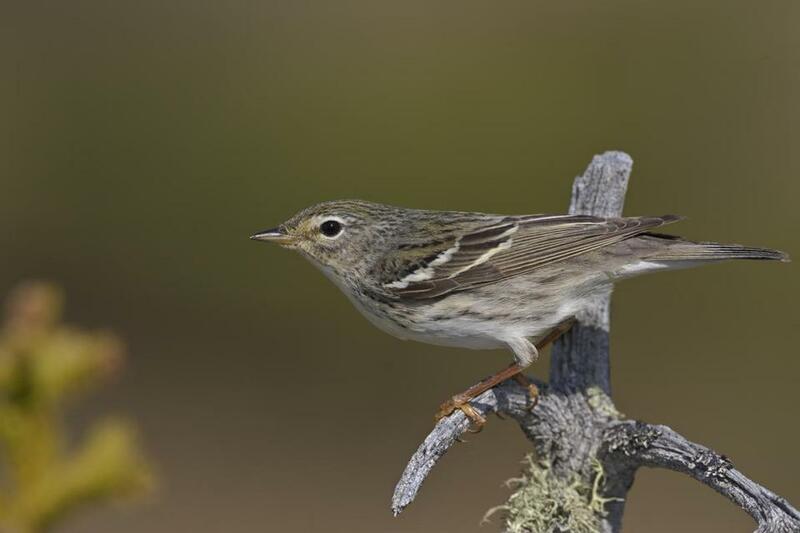 A breeding female blackpoll warbler. In the fall, the birds undertake a marathon migration over the ocean. In the spring, they take the overland route north and do not rush. If anything, they’re practically laggards; to many birders, the warblers’ arrival in New England in late May or June means that migration season is almost over. But the return trip south is a different story. They start along the coast in the Northeast and fly south to the Caribbean in one long two-to-three-day swoop, traversing the vast ocean. They take some time to recover and then, they make the last leg of the journey to South America. Circumstantial evidence of their awe-inspiring fall trip began to accumulate in the 1960s. The first clue was that ornithologists just weren’t seeing the birds at stations along the southern part of the East Coast, when they captured and observed birds migrating southward. That meant the blackpolls were taking a different route. A breeding female blackpoll warbler. There were intriguing accounts of birds captured on the coast of Maine in the fall with tremendous amounts of body fat, which suggested they were getting ready for a long journey. Scientists began to think they were flying over the ocean because ships far from shore occasionally reported blackpolls that just seemed to fall out of the sky. Perhaps those were the ones that had been buffeted by bad weather or were too weak to complete the entire flight. The case was building that these slight birds were undertaking a grueling, transoceanic flight. But was it likely? To gather the proof, the researchers captured 37 blackpolls in Nova Scotia and Vermont between May and August 2013. They strapped dime-sized backpacks onto the birds — geolocator devices that weighed half a gram and recorded the length of each day. If they were able to recover the devices, researchers reasoned, they could calculate the warblers’ routes based on the fact that the length of day and the time of solar noon vary by latitude and longitude — a technique known to ancient mariners. The following summer, the researchers returned to the areas where they had captured the birds and found five. The geolocators revealed lengthy transoceanic autumn journeys that took up to three days of uninterrupted flying. Although it had long been suspected that blackpolls took a daring route, “we were still floored to really see it,” DeLuca said. While long-distance feats of flying aren’t exactly uncommon in the bird world — shorebirds perform extreme endurance flights across oceans — it’s fairly unusual for such a tiny, forest-dwelling songbird to venture so far out to sea. Four of the birds left from Western Nova Scotia, flew to Long Island, and from there made the long haul to Hispaniola or to Puerto Rico. Another bird went from Cape Hatteras, N.C., to Turks and Caicos in one flight. Then, they continued on to Colombia and Venezuela. The nonstop leg of their journeys ranged from 1,410 to 1,721 miles. Birds’ navigation systems are complex and draw on their genes, the moon, stars, and sun, and the earth’s magnetic field. Researchers still don’t know why they do it, but they know they can. 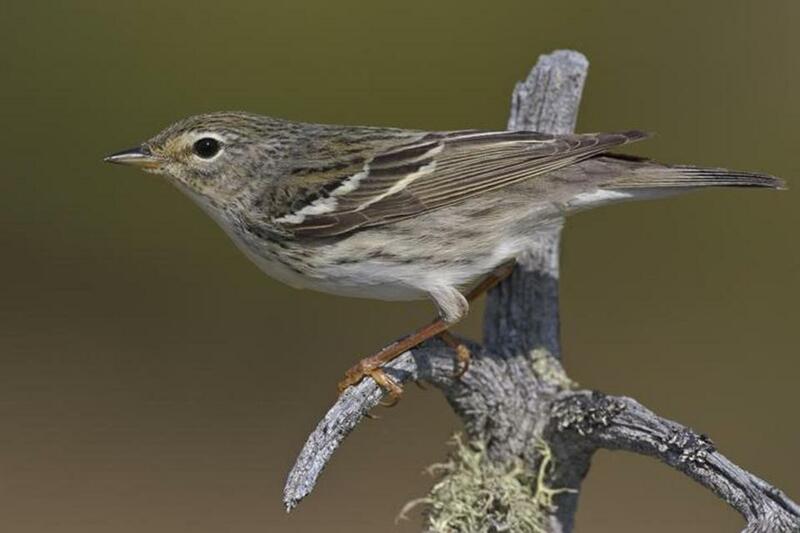 The researchers calculated that a blackpoll weighting 16.6 grams, the average weight of the birds once they’ve fattened up for the journey, would be capable of flying a maximum of 2,400 miles over 81 hours. Andrew Farnsworth, a research associate at the Cornell Lab of Ornithology, said the find will help guide conservation strategies. 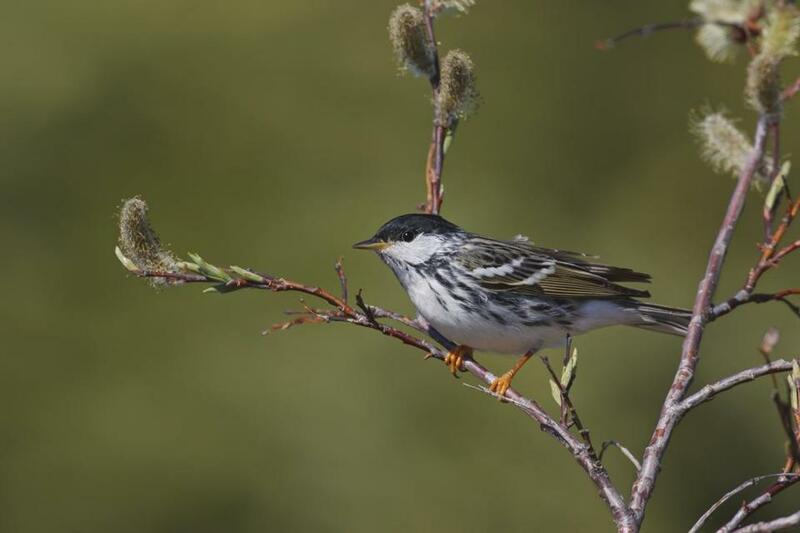 A breeding male blackpoll warbler.